As China emerges as an international economic and military power, the world waits to see how the nation will assert itself globally. Yet, as M. Taylor Fravel shows in Strong Borders, Secure Nation, concerns that China might be prone to violent conflict over territory are overstated. 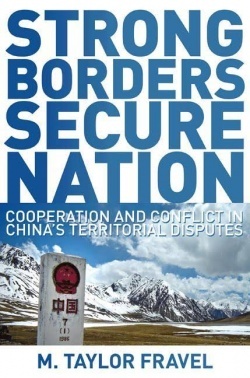 The first comprehensive study of China's territorial disputes, Strong Borders, Secure Nation contends that China over the past sixty years has been more likely to compromise in these conflicts with its Asian neighbors and less likely to use force than many scholars or analysts might expect. By developing theories of cooperation and escalation in territorial disputes, Fravel explains China's willingness to either compromise or use force. When faced with internal threats to regime security, especially ethnic rebellion, China has been willing to offer concessions in exchange for assistance that strengthens the state's control over its territory and people. By contrast, China has used force to halt or reverse decline in its bargaining power in disputes with its militarily most powerful neighbors or in disputes where it has controlled none of the land being contested. Drawing on a rich array of previously unexamined Chinese language sources, Strong Borders, Secure Nation offers a compelling account of China's foreign policy on one of the most volatile issues in international relations.